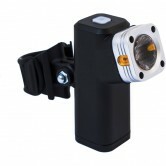 If you're riding in the evening or night you're going to need a good set of cycle lights! 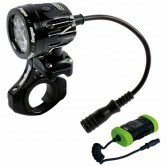 Luckily for you here at The Bike Factory in Whaley Bridge we like our night riding and we stock a fantastic range of bike lights based on our experience of what lights are up to the job. We've creating this cycle light deal page just for you and it includes loads of bike lights at unbeatable prices so you can kit out your bike and light up your way for less than you thought! 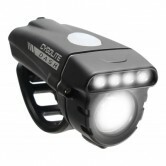 You can save up to 50% off some cycle lights! Whether you're looking for a basic set of cycle lights that include a front and rear light suitable for commuting or your after a high powerd light that blazes like the sun to light up the night trails, we'll be able to help you. 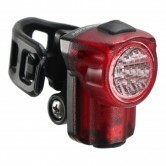 A lot of front cycle lights also come with fittings so you can use it as a helmet light. Look at the specs to check whether or not your choice comes with the fitings you want. 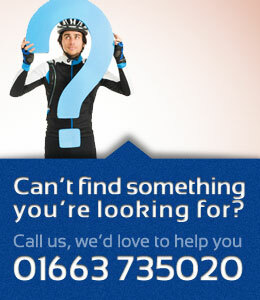 If you're in doubt about whether your cycle light will fit give us a call and we'll let you know. We have bike lights starting from £5.99 for a basic LED rear cycle light up to over £300.00 for the awesome Hope R8 LED front cycle light. You'll find top quality cycle lights from MOON, Hope and Crops at all price points inbetween too with great discounts applied so you'll save loads compared to other online shops. 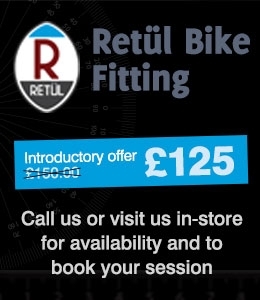 If you have any questions regarding any of our cycle lights such as whether they're fit your bike or how bright they are then please feel free to give us a call during store opening hours on 01663 735020 and we'll be glad to help you out.